Are you having a splashing time this summer so far? 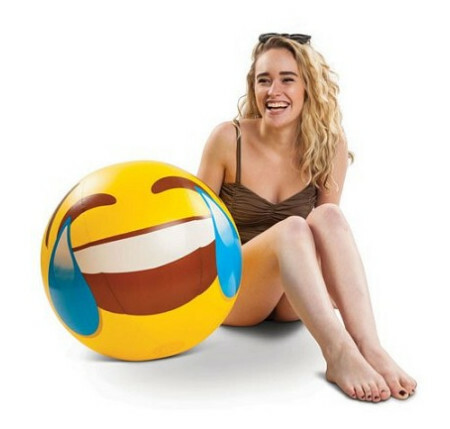 If you have not yet gotten your fair share of action on the beach, perhaps you might want to ensure that this particular summer does not pass you by without picking up the $10.99 Giant Tears of Joy Emoji Beach Ball. As its name implies, this is a beach ball that is 20” in diameter — and will feature a wide, wide smile with humongous tears of joy. Perfect to sum up how one feels about hot days, bronzed bodies and great tasting drinks by the water or seaside.